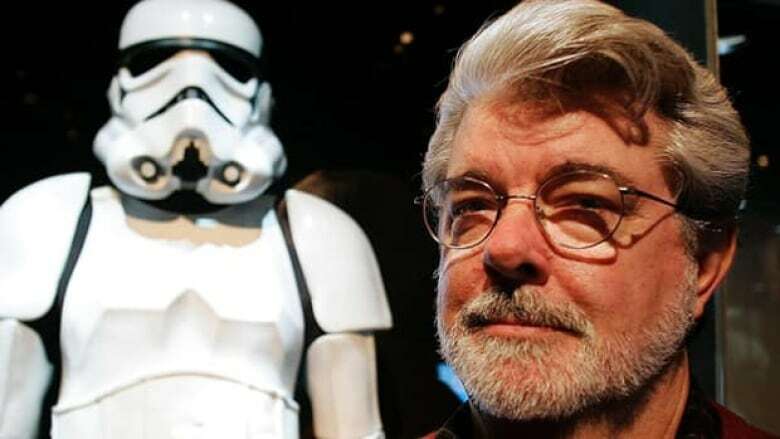 Disney says it is buying Star Wars maker Lucasfilm for $4.05 billion US from George Lucas. Disney is paying $4.05 billion to buy Lucasfilm Ltd., the production company behind Star Wars, from its chairman and founder, George Lucas. It's also making a seventh movie in the Star Wars series called Episode 7, set for release in 2015, with plans to follow it with Episodes 8 and 9 and then one new movie every two or three years. The Walt Disney Co. announced the blockbuster agreement to make the purchase in cash and stock Tuesday. The deal includes Lucasfilm's prized high-tech production companies, Industrial Light & Magic and Skywalker Sound. Disney CEO Bob Iger said in a statement that the acquisition is a great fit and will help preserve and grow the Star Wars franchise. "The last Star Wars movie release was 2005's Revenge of the Sith — and we believe there's substantial pent-up demand," Iger said. Kathleen Kennedy, the current co-chairman of Lucasfilm, will become the division's president and report to Walt Disney Studios Chairman Alan Horn. Lucas will be creative consultant on new Star Wars films. Lucas said in a statement, "It's now time for me to pass Star Wars on to a new generation of filmmakers." The deal brings Lucasfilm under the Disney banner with other brands including Pixar, Marvel, ESPN and ABC, all companies that Disney has acquired over the years.